Cats love to scratch and it’s natural for them to do so. The scent glands in their paws mark the cat’s territory. And all the stretching they do when scratching helps tone muscles. They don’t understand that the sofa or your favorite chair are not for scratching. A scratching post is a post specially designed for cats to scratch on to avoid damage to furniture. They can be bought at pet stores, but they can be made easily at home by covering a post of wood with carpeting. You can also get scratching posts that double as a cozy place for the cat to sleep. At a pet store, you’ll find many different kinds and colors of scratching posts. You can get only a basic carpet-covered post or a big tall fancy scratchtower – the cat won’t care. Make sure that the post is tall enough, to enable the cat to stretch out its front legs and scratch. Some cats prefer t o scratch on a horizontal post as opposed to a vertical one. 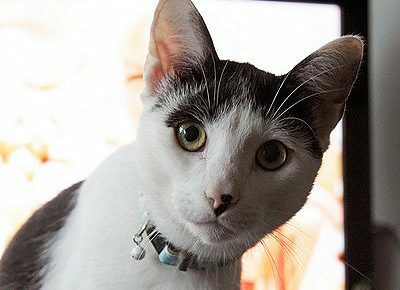 Play around with it and see what your kitty likes. 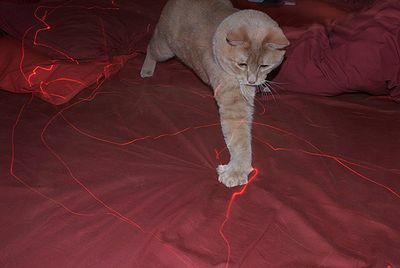 You can’t teach your cat not to scratch, but you can direct your cat’s scratching to an appropriate place. There are so many different types of scratching posts from simple ones to those with several balconies and hideaways. If you’re handy, you can make one yourself with a secure bottom, a pole and old carpet pieces or material your cat can get her claws into. You can help by keeping your cat’s nails trimmed. 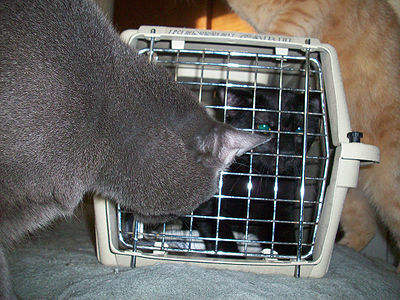 Please don’t punish your cat – it won’t change anything and it might make your cat fearful. Please don’t declaw your cat. It’s cruel, painful and stressful for your pet. And it’s illegal in some countries. 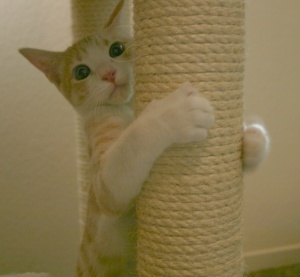 For more information about building your own scratching posts, click here.